This umbrella really is a ‘must-have’ fashion accessory for children and young ladies. Everyone loves a ladybug! Why not scroll down and read more? 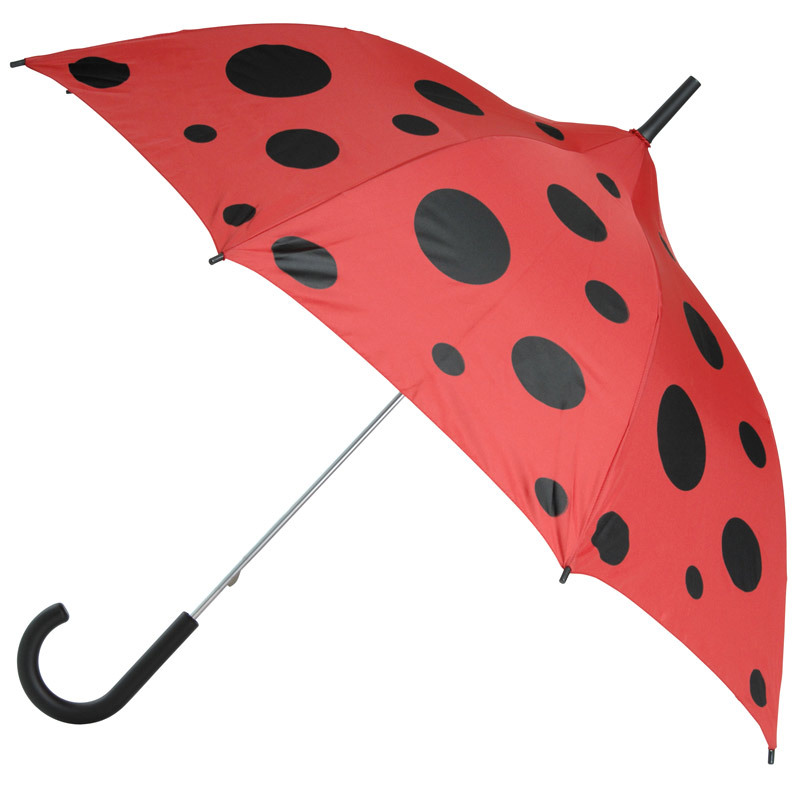 ‘Ladybug’ – Ladybird Umbrella for children and young ladies / teenagers. 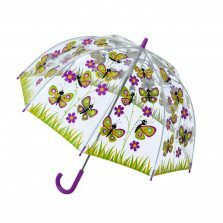 If you’re looking for a cute child’s umbrella- take a look at our ‘Ladybug’. This delightful children’s ladybird umbrella is absolutely beautiful with it’s pretty pagoda shape and adorable black spots. This eye-catching design is of course based upon the Ladybird, thought to bring good luck in many countries. 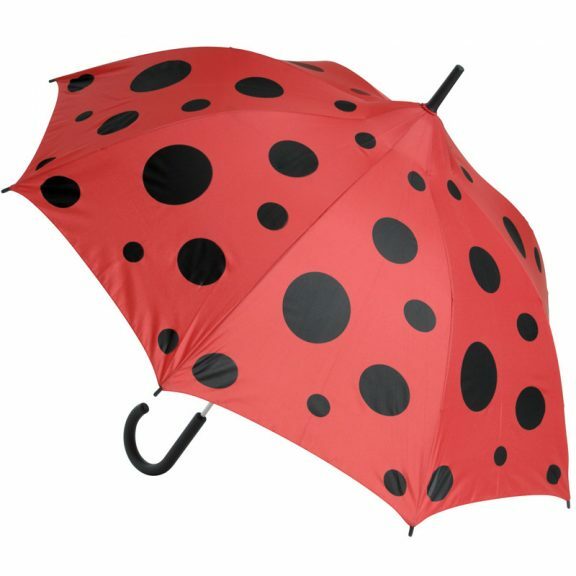 Contemporary, trendy and stylish, the Ladybug umbrella incorporates the unique Umbrella Heaven patented wind-resilience technology and is very strong and lightweight. 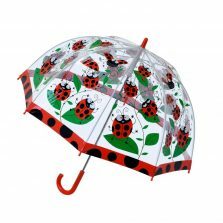 These delightful ladybird umbrellas are sure to raise a smile and make perfect, practical and fun Christmas or birthday presents. 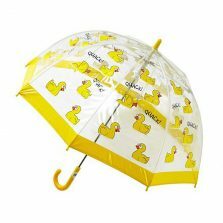 To see more of our adorable kids umbrellas! Your umbrella can help you to stay healthy if you take it out in the sunshine with you and use it as a parasol. These days we are all a lot more conscious of damage that can be done by the harmful UV rays from the sun. We are particularly cautious with our children and use plenty of sunscreen on them. 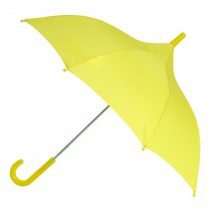 Why not add an umbrella to your ‘sunny day kit’ and keep your child safe in the sun?